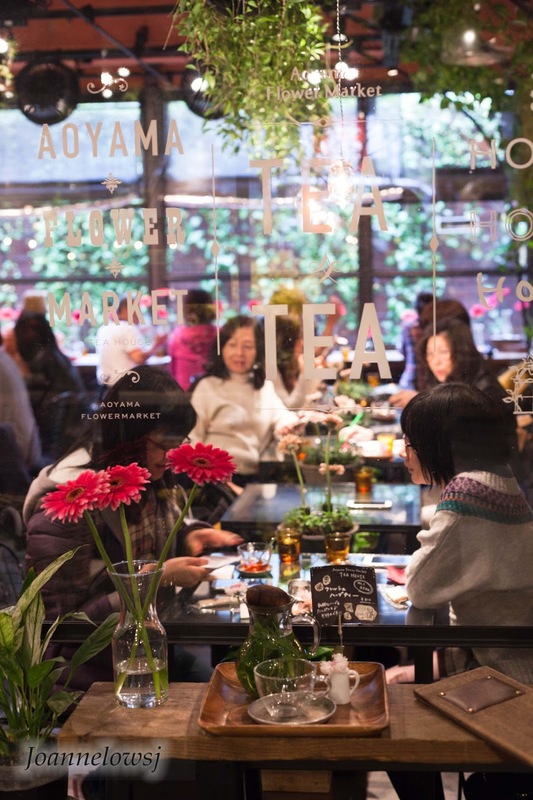 Make our way to Aoyama Flower Tea House for afternoon tea and the trip was a pleasant one. 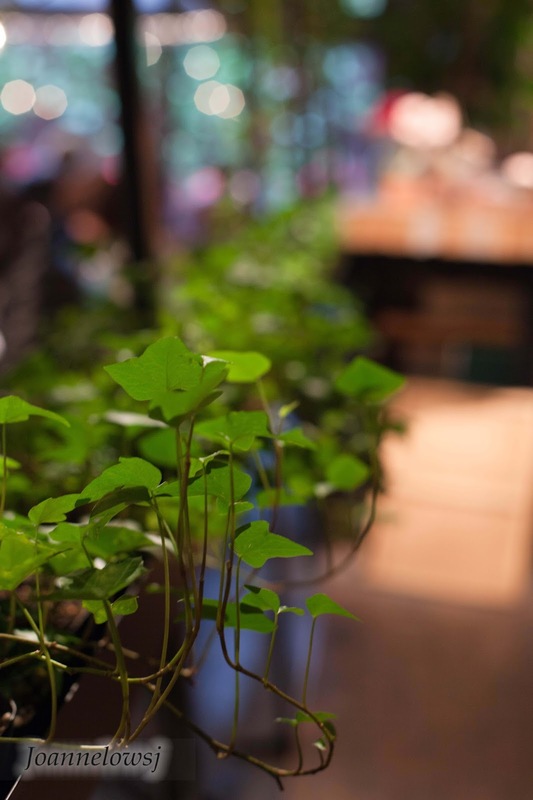 Tuck at a corner of the street, Aoyama Flower Tea House is one of the shop that one will not miss. 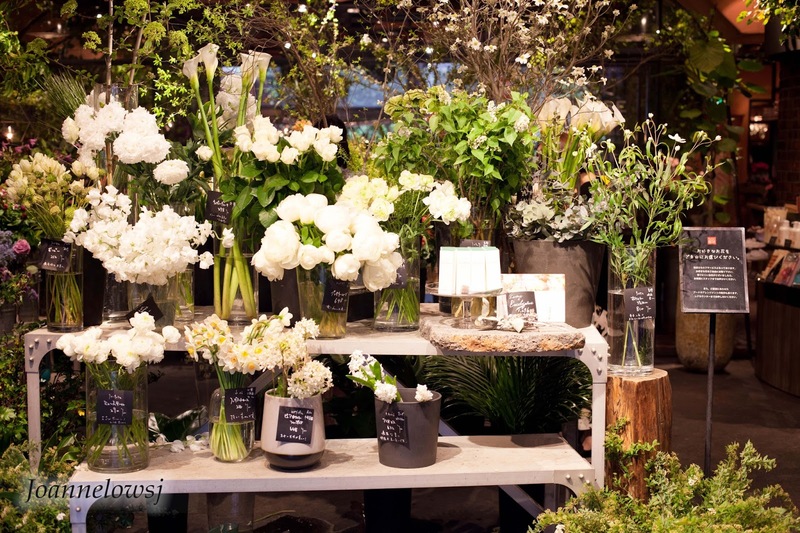 The shop is decorated with lots of flowers, which make it easy to spot. 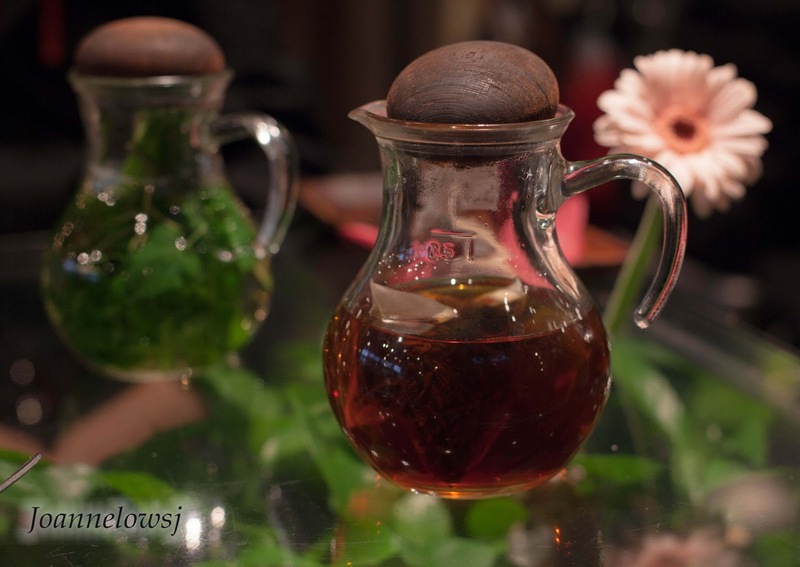 We absolutely love the atmosphere of the Tea House. 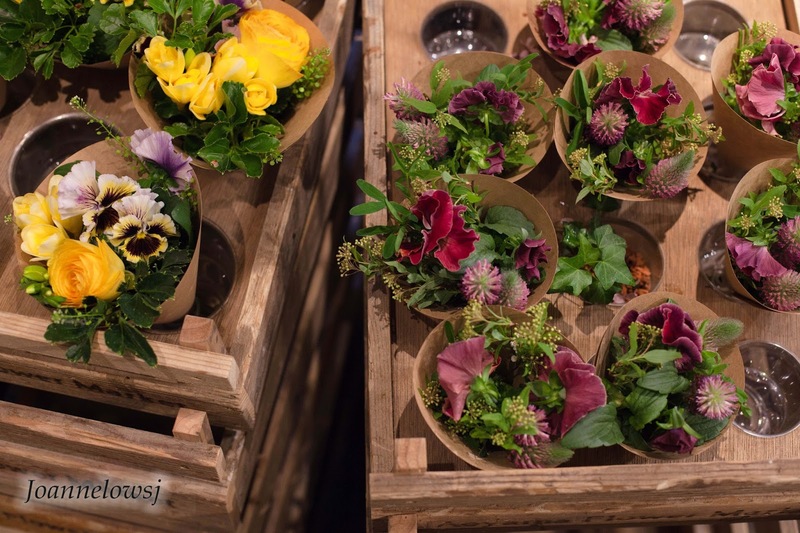 Line vines, green pots and fresh flowers made the Tea House incredibility cozy. It is every girl dream Tea House (or mine!). & Mom love that place too! she is an avid flower lover. H ordered Refresh blend (810yen), which contains rosemary, lemon grass, Lemon balm, spearmint and apple mint for a refreshing taste. Dad ordered Relax blend (810yen) which contain Dandelion, Lemon Balm, Lemon Grass, Spearmint and Oregano to smooth one’s mood. A pretty interesting combination of Herb leaves. H & I are sure we have to try it when we get home. I had Strawberry Tea + milk (700 Yen), one of the popular choices among the tea, which is fruity and refreshing. Mom ordered Green Tea (700 Yen). Unlike traditional green tea, there is a faint of sweetness at the end, which we find it pretty good too. 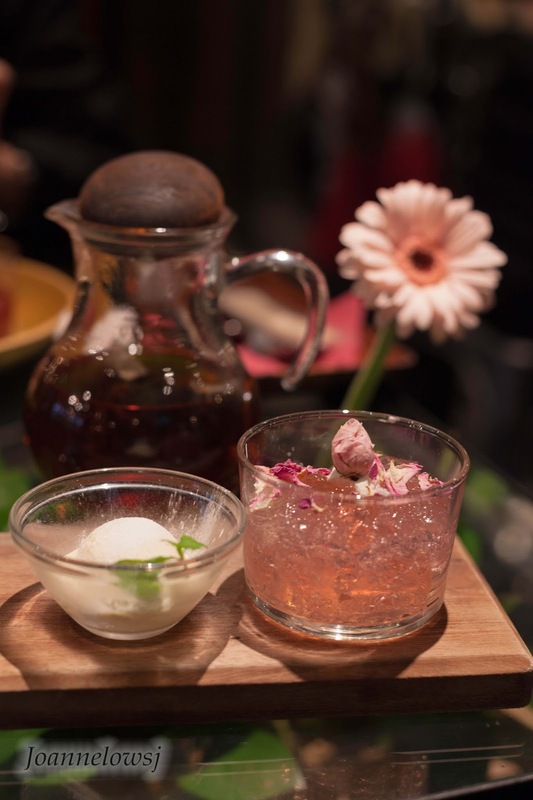 We ordered Rose Jelly- jelly with vanilla ice cream (756 yen) and it was surprisingly good. The jelly is not overly sweet like the ones we usually have. Top it off with vanilla ice cream, it give a very rich and milky finishing taste. My parent shared the Green Tea cake set (which I forget what it was called) was pretty good too. 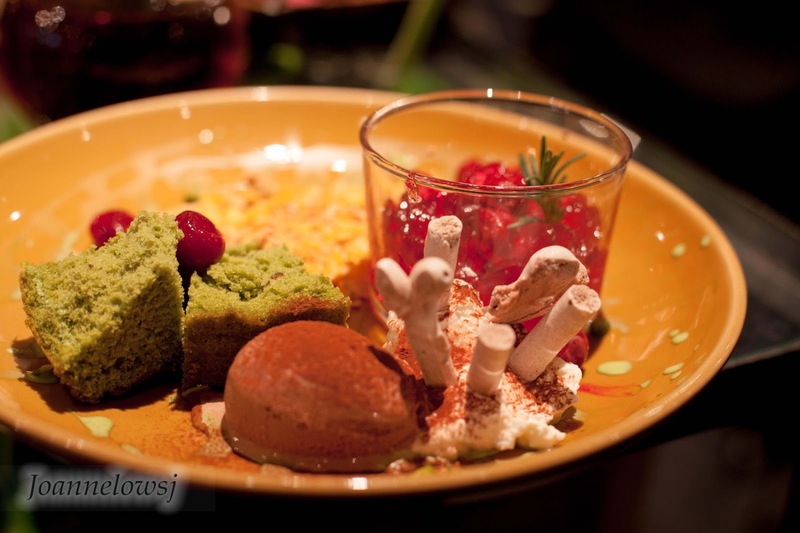 The cake has a rich green tea flavor and goes really well with the ice cream. However, I don’t like the red jelly(I think it was cranberry jelly)because it is overly sweet and has a strong taste. Make your way to Harajuku Street or Takeshita Market after that!